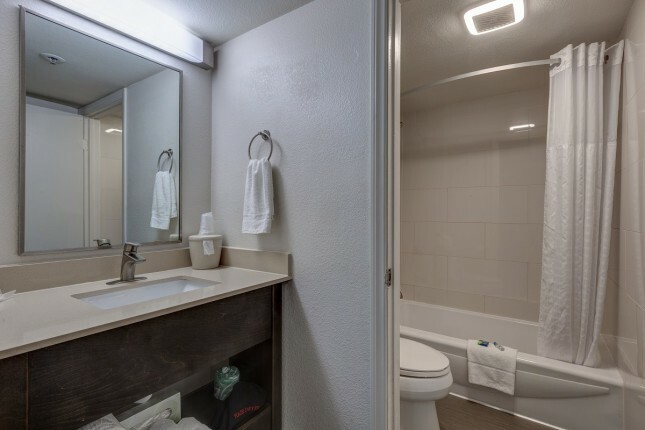 Non-smoking renovated guestroom with 40 inch flat screen TV(over 60 channels), complimentary WiFi, mini-refrigerator, In room safe, Hairdryer, Iron, and ironing board. Also available complimentary morning coffee, and tea located in the lobby, and free self parking. 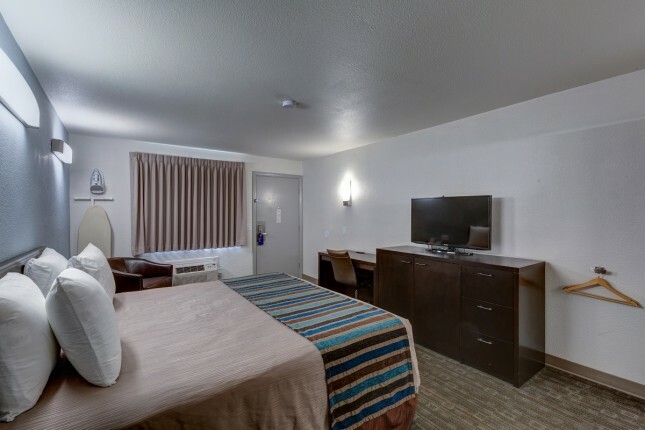 Good Nite Inn is centrally located in the Valley View Casino Center area, only 4 miles from San Diego Int’l Airport, and minutes away from SeaWorld Park, Mission Bay, and Marine Corps Recruit Depot – MCRD. BOOK YOUR NEXT STAY WITH US! 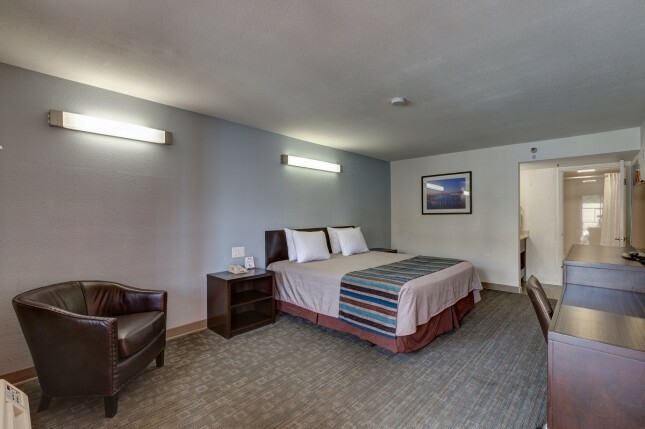 To make your reservation- Please Contact one of our guest relations associates at (619) 543-9944 or Go to our Website http://sandiegoseaworld.goodnite.com/From the 5 Freeway South Exit Rosecrans. Turn right at the first light, Hancock. Turn right at the first street, Greenwood. From the 5 Freeway North: Exit Pacific Highway to Rosecrans. Turn right to Hancock. Turn right to Greenwood. Turn right to Hotel on left. From the 8 Freeway West: Exit Rosecrans to first light, Hancock. Turn right to first street, Greenwood. Turn right to property on left.